You are here: Home / All blog posts / Celebrating five years of weaving! Celebrating five years of weaving! Yep! Â Today is my weaving birthday, and I’ve been weaving for five years now. 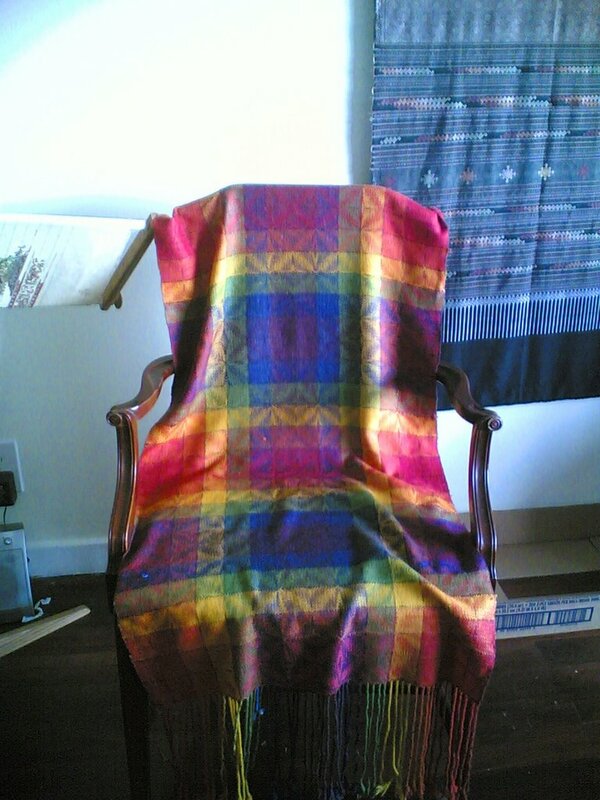 The pattern is an advancing twill from Handwoven’s Scarves and Shawls, and I dyed my own yarns for the project. Â If I recall correctly, it was Jaggerspun Zephyr at 5040 ypp (even at that young age, my predilection for fine yarns was well-established!). Â The colors are fairly hideous and there were quite a few skips, but for a first project, it’s not at all bad. Â I’m still pleased with it, considering my experience at the time (darn near zero!). 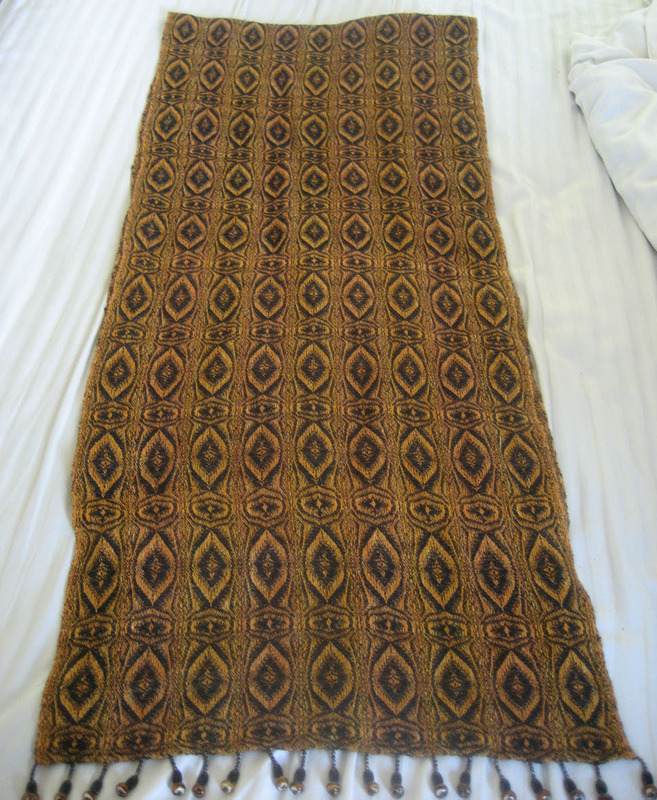 This was based on the “Heart Throb Scarf” in Twill Thrills: The Best of Weaver’s. Â I took the heart patterns, flipped them so Â they were symmetrical (producing a “cat’s eye), then changed the satin threading at the reversal points to something more closely resembling the pupil of an eye. Â The warp yarn is hand-dyed in two subtly different shades of orange (and yes, that wasÂ intentional 🙂 ), the weft yarn in black. Â Silk and cashmere. Between year 1 and year 2, “Tiger Eye” won me my first weaving award ever: a silver ribbon at CNCH 2008. Â I was thrilled! Here I had dyed 28 shades to get a smooth transition from fuchsia to turquoise. Â Warp silk, weft cashmere. Year three was a great learning year: I got a chance to study with Laura Fry at her house for five days (how marvelous is THAT! ), studying how to weave efficiently and ergonomically, and incidentally also learning a bit about bobbin lace and collapse weave. Â That experience led me to my first publication ever, “Plain Weave Variations“, in WeaveZine November 2009. 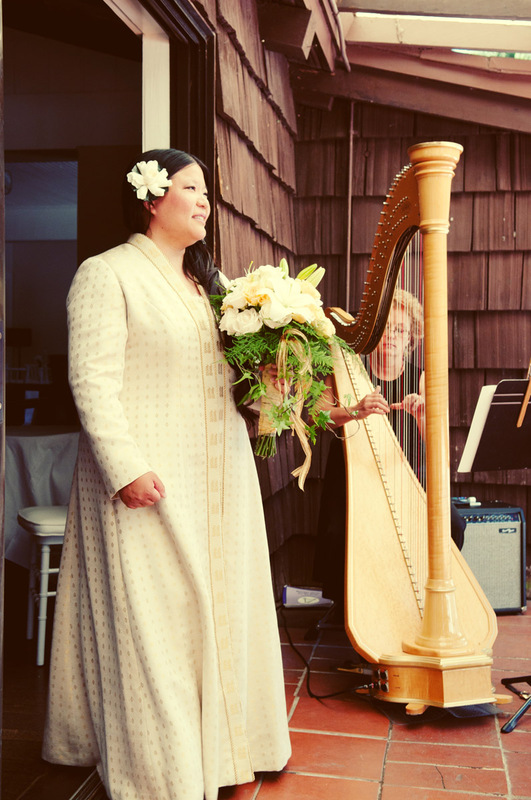 …and, of course, year four brought the wedding itself! Year four also brought me my first major award (“Best in Show” at the CNCH 2010 Fashion Show), and my first acceptance into a juried show (Convergence 2010 Fashion Show). Â I published articles in Shuttle, Spindle, and DyepotÂ and Complex Weaver’s Journal, and had a photograph of my work published in Handwoven. In year four I also purchased a book, Kimono as Art: The Landscapes of Itchiku Kubota. 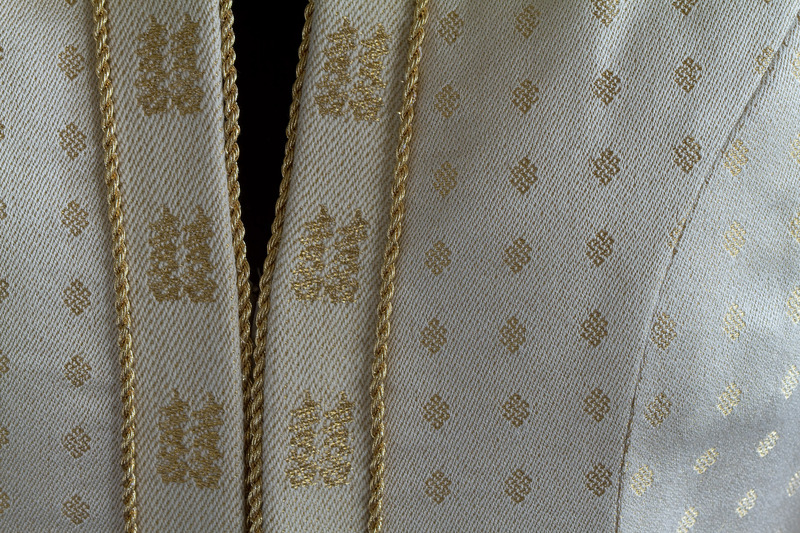 Â This had a huge impact on my creative direction: on seeing Kubota’s breathtaking kimono, I realized that it wasÂ possible to create breathtaking textile art, and realized moreover that this was what I wanted to do with my life. Â I changed my life to focus on the Muse. Year five brought a frenzy of activity. 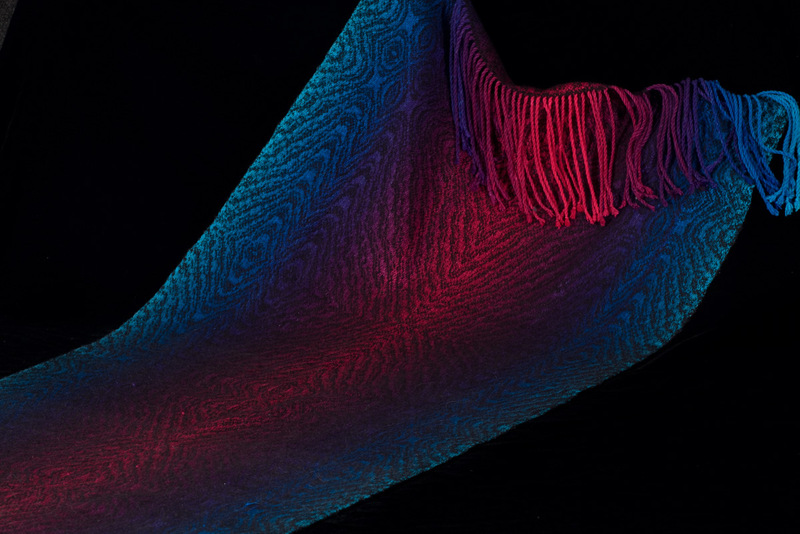 Â I explored a number of different techniques, like woven shibori, taquete, and diversified plain weave. Â I took a class in two-dimensional design. 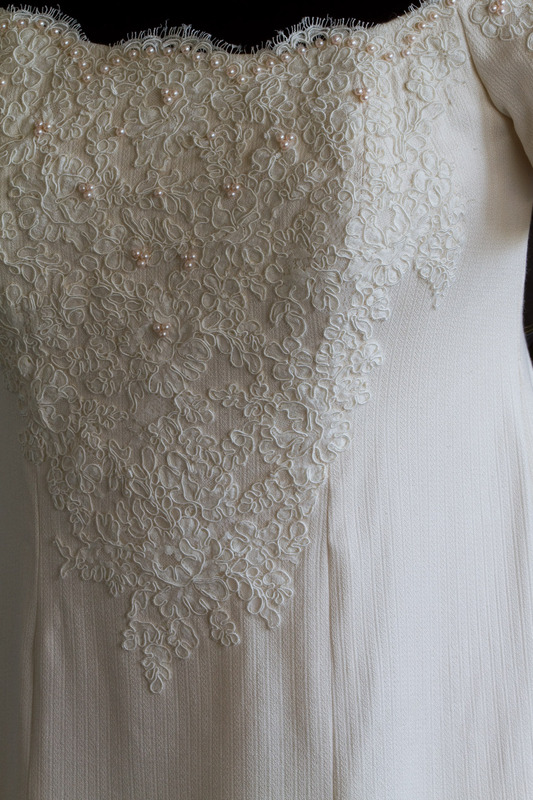 Â I started learning to draft my own sewing patterns. Â I started writing a series of articles for Handwoven. 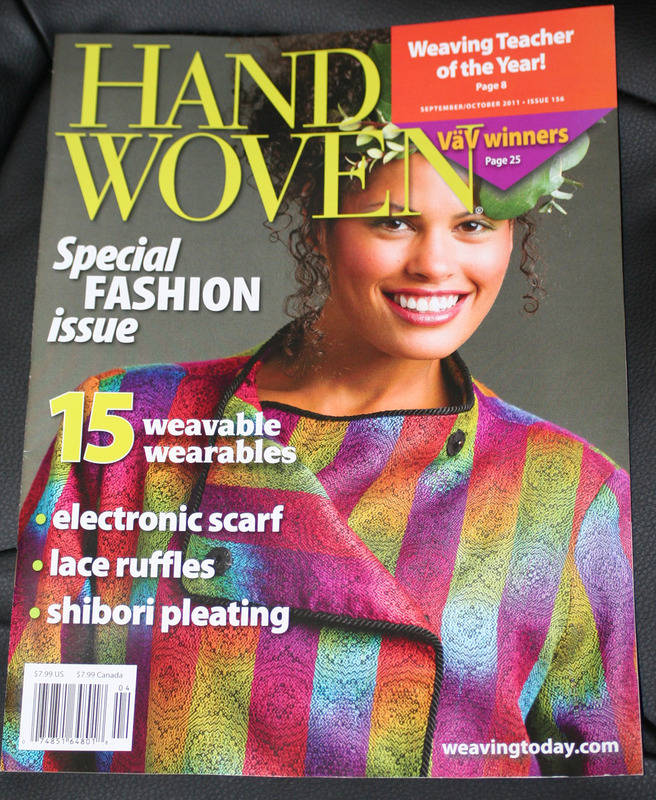 Â And, with Kodachrome, I got my work on the front cover of Handwoven! Study pattern drafting more extensively, learning to design my own sewing patterns from scratch. Â Develop a sloper, and use it to develop foundations for coats, dresses, etc. Â This can be theoretical work; it doesn’t have to result in a finished piece. Work more with knitted blanks, getting more control over the techniques and colors. Dye a more extensive sample set in Cibacron F dyes. All in all, it’s been one wild ride, and I can’t wait to see what happens next! Surely Weavolution deserves a mention too. It wouldn’t have happened without you. Yikes!!! I can’t believe I left out Weavolution. Yes, that would have been the central focus of Year 3. And it wouldn’t have happened without you, too! Congratulations on your weaving anniversary. You’ve accomplished more in five years than most weavers accomplish in a lifetime. Carry on!